Removable Partial Dentures (RPDs) have the advantage of being the quickest and least expensive method of replacing missing teeth. They are usually supported by the teeth adjacent to the missing teeth. Unfortunately, RPDs are by design made to be removable, and are therefore much less stable than either an implant or a fixed bridge. They also are considerably bulky and can result in unsightly metal clasps showing in your smile. To discuss options for RPDs and tooth replacement, call Dr. Wooddell at 703-698-9698 in his Annandale office or fill out the form on the right. We are located near INOVA Fairfax Hospital, convenient to Merrifield, Burke and Vienna, VA.
A removable partial denture could be the best option for you. 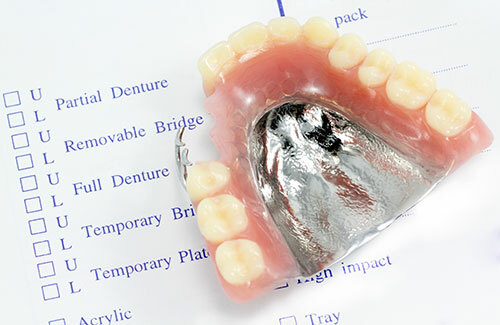 Want to know more about Removal Partial Dentures?